Pink Clove is an online shop selling clothes made for plus size women. Their sizes range from size 16 - 32. Many shops I visit these days don't go up to the 'plus size' such as 16 and 18, which is what I am. I do struggle to buy clothes especially online as all the models are a good few sizes smaller than me. Pink Clove use models from size 16 upwards which is great and nice too see. Pink Clove offers various kinds of clothing such as dresses, tops, trousers and more. 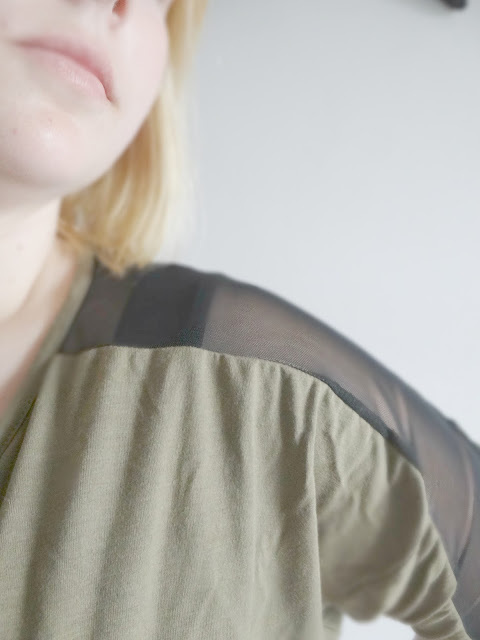 I was given the chance to review 3 items of clothing from their new arrivals and it was hard too choose from as there are so many gorgeous clothes available. In the end I decided to go for a skater dress and a khaki top and black jeggings. I chose this tops because it isn't something I usually choose. I wanted to go for something different. I wanted to review a full outfit and I saw a picture of a model wearing this top and black jeggings (below) and I fell in love. The top has two netted sides on the shoulders/top arms which gives that top a 'fashionable' look. It is a soft touch jersey material and I would say it is definitely true to size. You could dress this up for day wear and night wear. I fell in love with these trousers. I think it was the style of the trousers and the material. 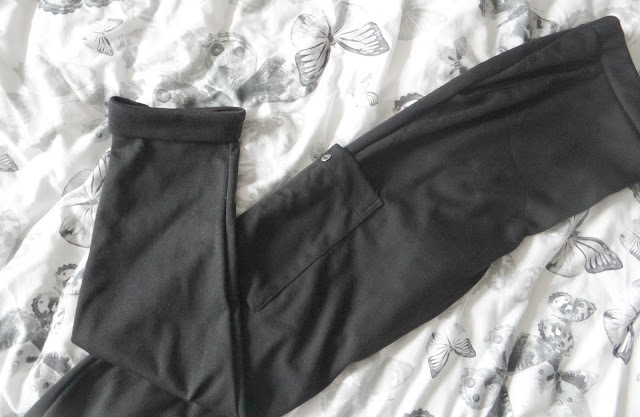 Unfortuently the trousers are a very tight fit on me at the moment but I got a size 16 instead of an 18 because I want to fit into these in a few months. The material is a soft and stretch type material and I would say they are true to size. The fashionable turn up on the bottom and pockets on each side half way down the leg make these trousers look great. Something caught my eye with this gorgeous soft material grey V-neck skater dress. 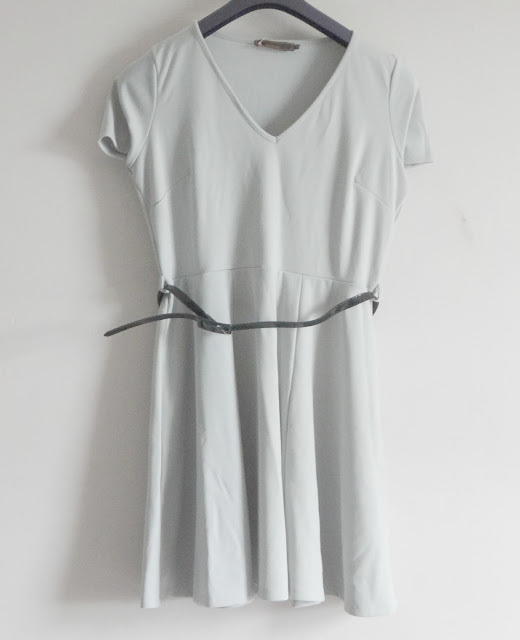 I love the light coloured grey and it's perfect to show off your curves. The belt gives it that extra finish. Perfect for that night out, meal out or dress up smart for day time wear. This dress is available in 4 different colours. Overall I am very happy with each item I was sent by Pink Clove. I will be using their website again in future to order more clothes. They sell clothing for all kinds of occasions. So whether you are looking for something to wear for a wedding, a party or just fancy a new outfit/top or trousers Pink Clove sell it! There are many kinds of style of fashion on Pink Clove and they sell fantastic quality clothes which are true to size - which is important when you are buying online! * I was given these products free of charge in return of an honest review. All words, images and opinions are my own, as always.